Catherine was delighted to be part of the tour and to be invited in to schools across Northern Ireland. The tour took place between 25 February and 1 March 2019. 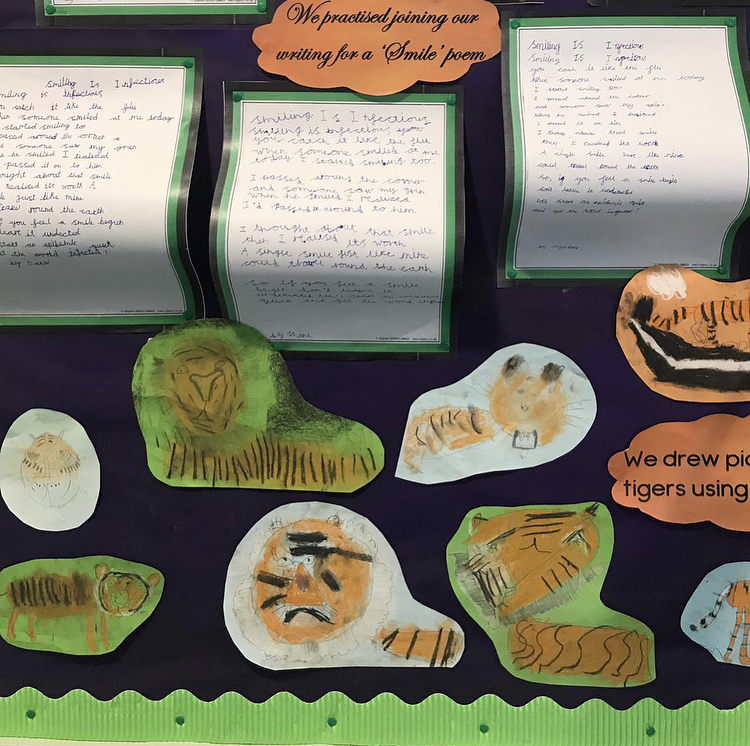 Catherine worked with the pupils, encouraging them to make their own drawings and illustrations, giving step by step guides so they could draw characters from her books. She also give insight to how she produced her characters by sharing her sketchbooks so children could see how characters develop – with a focus on how many mistakes she made, highlighting the important point that there’s no ‘right’ way to create a picture book! Please find some photo’s from the tour below. We received the warmest welcome for some absolutely wonderful teachers, children, helpers and parents. The drawings the children produced were truly magnificent, there are certainly a lot of aspiring little authors and illustrators to come out of Northern Ireland in a few years. Catherine would like to thank Scottish Book Trust and Scottish Friendly for organising and funding the brilliant tour. Also Tom Jefferson and Holly Gardner for making it a huge success (and great fun too!). On Monday we visited - Armagh and did events at The Drelincourt School and Bessbrook Primary School. On Tuesday we woke up in sunny Newry and headed to St Joseph’s Convent Primary School and then Killean Primary School in the afternoon. Wednesday took us to Strabane where we did lovely events with children at Sion Mills Primary School followed by St Eugene’s Primary School. Thursday was Enniskillen! We started the day at the tiny Aghadrumsee Primary School and then we spent the afternoon at St Tierneys Primary School, then we headed to Belfast for an interview with BBC Radio Ulster in the morning we met the children of Cliftonville Integrated Primary School and then for the very last event we met the lovely children and teachers at Scoil an Droichid! 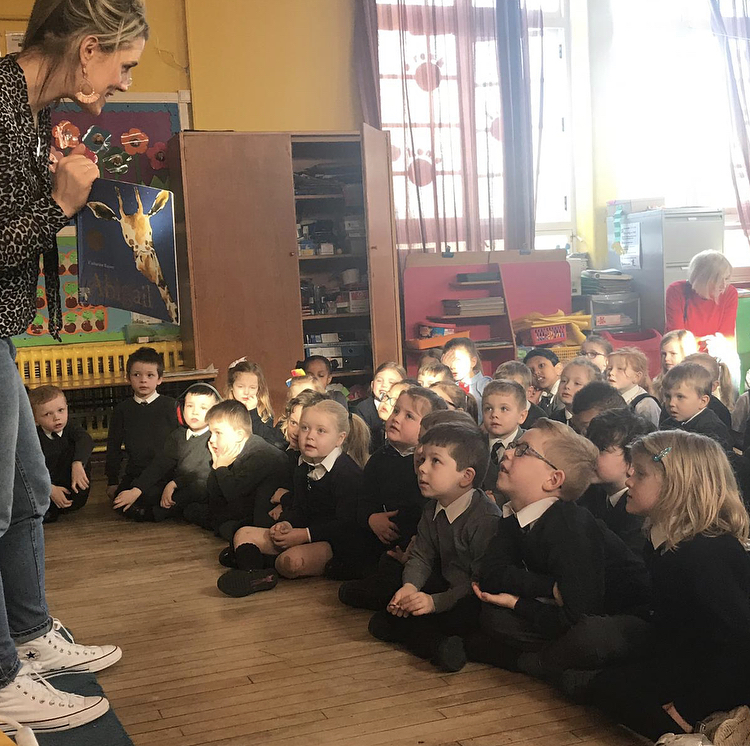 “The Scottish Friendly Children's Book Tour brings authors and illustrators to a library, town hall or school near you.